I saw that in my utils, don't have a backup in 2019 years. 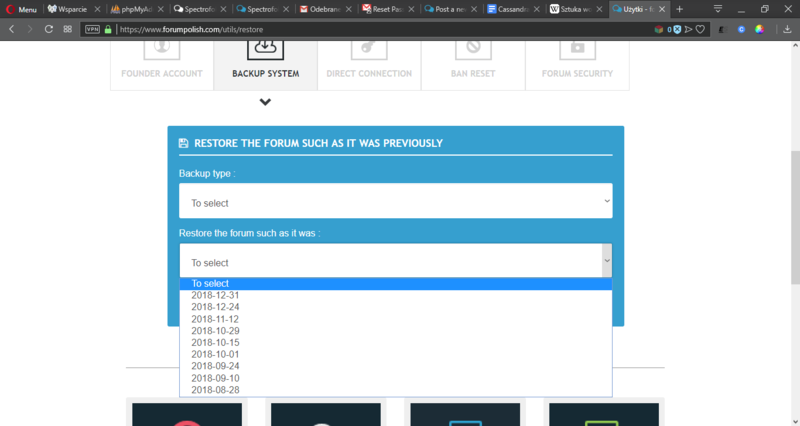 Last backup is from 31.12.2018, but lately we do a lot of work in forum. This situation represented one screen above/belowed. I also do not have one for 2019. Give it a couple days to see if it will automatically do it. Thank you for your report Infect we have a technical issue with some backup dates our Team are working on this problem. Sadly we do not have any time or dates to give you right now.